The chairperson of the local audit watchdog, Abel Dlamini, is fighting damning findings made against him by the Public Protector in his prior role as Bapo ba Mogale administrator and the matter could go to court in October. Accusing Public Protector Busisiwe Mkhwebane of “misconduct” and “blatant dishonesty”, Dlamini says Mkhwebane’s findings “are unsustainable in law”. Dlamini is a chartered accountant and chairperson of the Independent Regulatory Board for Auditors (Irba), which regulates 4 100 auditors. He filed court papers against a report by Public Protector Busisiwe Mkhwebane into “allegations of maladministration in the Bapo Ba Mogale administration”. Dlamini was administrator of the Bapo Ba Mogale administration, which is home to 40 000 people in the North West, from for one year to December 2009. Dlamini is also the executive chair of SekelaXabiso, a black-owned professional services firm. His lawyer, Hugh Eiser, said Dlamini had applied to the Deputy Judge President of the High Court in Pretoria, Aubrey Ledwaba, to have the application heard in October. Lonmin, Sky Chrome and Samancor Chrome operate mines on Bapo land, according to the Public Protector. The complaint was lodged with the Public Protector in March 2012 and the watchdog institution’s investigative report was released in June last year. Dlamini has been a board director at Irba since April 2015 and was elected Irba chair in August last year. Appointments of Irba board members are made by the minister of finance. Dlamini has applied to the high court to declare the report invalid with regard to the process followed. In his court papers, Dlamini has requested that the report be set aside where it makes adverse findings, and orders remedial action to be taken against him. “The findings made against me are factually incorrect, and many of the findings which the report [has made] are unsustainable in law,” he claims. The complainants in the matter are Freddy Mogale, Itumeleng Moerane, “members of the royal six” and “Mr A Mafate – a member of the community”, according to the Public Protector’s report. The report recommended that the North West premier approach the Special Investigating Unit (SIU) to probe “irregular amounts paid”, including “the payment of an amount of R8.1 million … to Mr Abel Dlamini … during his tenure as administrator”. 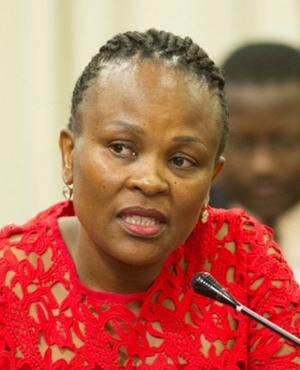 The Public Protector also recommended that the SIU conduct a forensic investigation into Dlamini’s role in the appointment of Nhluvuko Civil Works to “build the palace without going out on tender or calling for quotations”. Dlamini said in his court documents that this statement was incorrect. “I did obtain two quotations from other contractors, in addition to the quotation from Nhluvuko,” he added. However, Dlamini did not name the two additional contractors from which he got quotations. Eiser said: “Mr Dlamini cannot recall the contractors’ names.” In his affidavit, Dlamini said he did not put the construction work for the palace complex out to general public tender because it would have taken months for this process to be completed. The Public Protector said that, when Bapo administrator Dlamini appointed Nhluvuko to build the palace without going out on tender or calling for quotations on November 18 2009, the budgeted amount was R29.8m. “It was improper failure by Mr Dlamini ... not to consult the community in order for them to take a community/tribal resolution for the construction of the palace complex,” she charged. Dlamini countered this in his court papers, saying: “Nhluvuko was appointed on November 18 2009 to build the palace for an amount of R29.8 million. Nhluvuko commenced construction and issued its first invoice in an amount of R9.861 million on December 3 2009, which I approved for payment on December 4 2009. To which Dlamini responded: “This is legally without foundation. No such resolution is required and this shows ignorance on the part of the respondent. However, Dlamini said the report that the Public Protector was referring to was only received in October 2010, while his appointment as administrator was terminated in December 2009. “So, there was no way that I could have taken any action, as the Public Protector suggests.” He said the extra R86 million spent on the Bapo palace happened after he left office. Dlamini said the total amount paid to his company at the time, Sekela Consulting, was R8.5 million. He said the Public Protector’s statement that the R8 million-plus paid was “exorbitant” did not take into account the nature or extent of the work he undertook.In response to Dlamini’s court filing, Public Protector senior investigator advocate Ike Motshegare filed an affidavit on behalf the the Public Protector. “[Dlamini’s] main gripe, with the report, is that he was not afforded an opportunity to make representations...The complaint is misdirected,” Motshegare said. There were five Bapo administrators from December 2008 to March 2014 and R12.2 million was paid to them of which R8.1 million was paid to Dlamini. “The amounts paid to Mr Dlamini...were not included in budget estimatesd for the relevant periods...were conducted in a manner that is not authorised by the enabling statute,” Motshegare said. “Excluding days of 5 and 6 December, 2009, which fell on Saturday and Sunday, Nhluvuko, which was appointed in a manner not authorised by the procurement process of both the traditional council and government, was paid a staggering R9.8 million, for five days work,” Motshegare said. “It is only reasonable that an investigation, into the complete circumstances, must be conducted into the matter...It would be a complete injustice to ignore transgressions of such magnitude,” Motshegare added. “I submit that the contentions by [Dlamini] to the contrary are without merit, and thus should be rejected,” Motshegare said. Dlamini accused Mkhwebane of ‘misconduct’, ‘blatant dishonesty’ and withholding key information. Oupa Segalwe, Public Protector acting spokesperson, said he wasn’t aware of the North West provincial government taking any action regarding the Bapo report but the Public Protector was awaiting the response of the provincial government. “If we had resources, the Public Protector would be taking the North West provincial government to court to enforce the remedial action in the report,” he added.